After Labor Day, the back road highways and six-lane Interstates of America see a massive shift from Harley-Davidson motorcycles and Fleetwood RVs to snowplows & trucks. Outboard motors that once rumbled in the rivers, now have turned to silence. And where lawnmowers once razed clover, the grass is brown and covered with fallen leaves. It’s that time of year when most of the country turns to put their spring & summer equipment away and move things into storage. Gravity wreaks its havoc on stored engines. 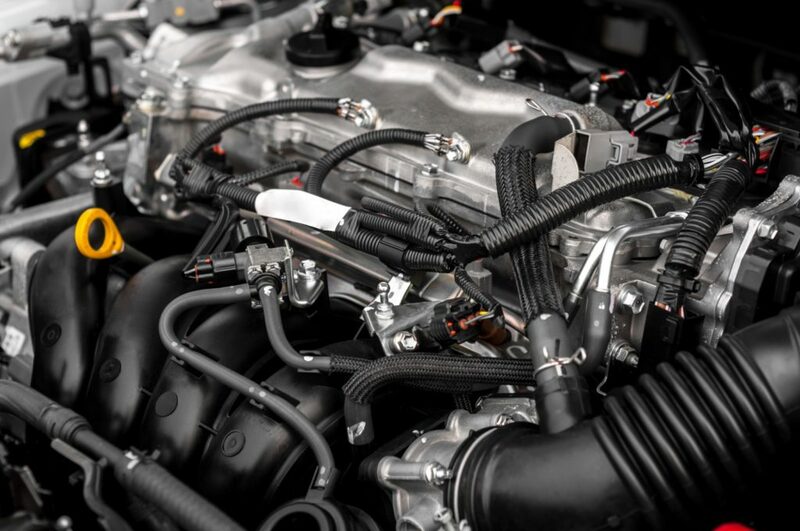 Oils and lubricants drain away from cylinder walls, piston rings, and other critical engine components. As the ambient temperature and humidity fluctuate, air vapor can condensate within the engine. Corrosion begins in as little as 30 days. Once winter passes and the lawn grows, the mountains call or the road beckons; the neglected engine may be susceptible to cylinder scuffing or stuck piston rings. Enter fogging oil. 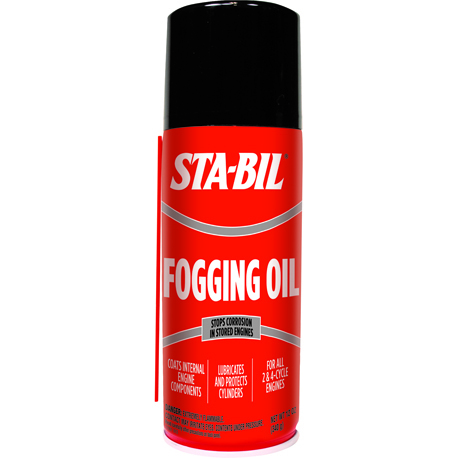 What is fogging oil? It is an aerosol petroleum treatment for long-term lubrication and corrosion resistance. When properly administered, it forms a thin film on metal components that, unlike oil, remains intact with time. It can be used on any gasoline 2-stroke or 4-stroke engine, including chainsaws, snowmobiles, automobiles, snow blowers, generators and more. 1. Start the engine and remove the air filter. 2. While the engine is running, spray STA-BIL fogging oil into the air intake of each cylinder. 3. After 10 seconds, shut off the engine. 4. Remove the spark plugs – carefully! 5. Spray STA-BIL fogging oil into each cylinder via included extension tube for three seconds. 7. (Bonus step): Breathe easier. • Outboard motor: Spray fogging oil into the carburetor before the engine runs out of fuel. • Inboard motor: Spray fogging oil into the air intake just before the engines starves out of fuel. Fogging oils are often used in tandem with fuel stabilizer additives to completely prepare an engine for long-term storage. How to use fogging oil is not difficult. It can be administered by any DIY enthusiast or, if preferred, by an experienced mechanic. Engine storage and fogging oil go hand in hand. Four months later, when the snows melt and the pistons pump without a stutter, your engine will thank you. Now keep in mind I have never sat on a PWC! I’m looking at the 2000 ski 175 hrs, engine is like roemmer or something. GTX Bombardier, Millennium Edition 3 seater. Cosmetically, not so good/not so bad,looks like it went under a dock or 2! Bottom looks worse but looks like sand landing. One 2″x ¼”gouge on bottom not through the body but top layer of fiberglass on the bottom. Hasn’t run in 5 years.charged the battery and put 91 octane in gas tank..put it in the water. Cranked but couldn’t catch. Then it kicked after I choked it. Ran it out and I could hear when it blew a chunk and it took off to 60mph… Now I want to put in new battery, seats etc, some heat in gas or whatever you do…$1800 from neighbors friend..